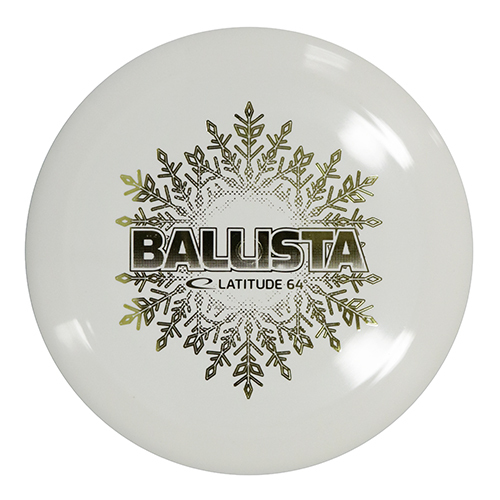 Latitude 64 says this about the Ballista: The Ballista will fly like a more understable World. Very, very fast with a slight turn for the average player. 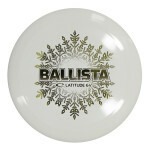 Ballista is the first disc produced in Snow plastic. Frost is to Opto as Snow is to Gold. 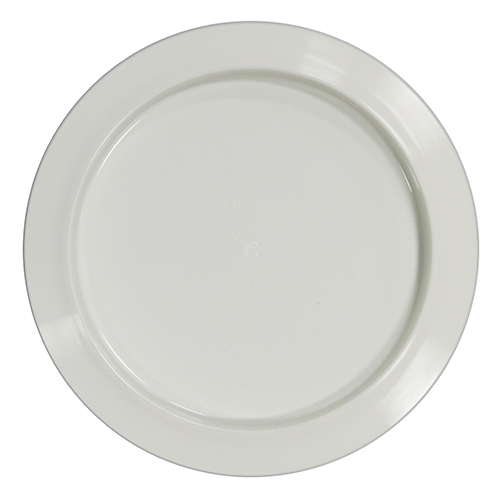 For the Snow Line Fundraisers: Without compromising the packaging of each individual disc, we are not able to ensure a specific weight. 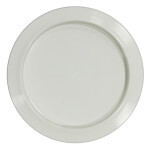 It appears, from the weights we could find, they are in the 170-175g range. Each disc comes individually packed with a ticket into the drawing.